I'm looking for a pair of YA science fiction books from the 90's about a rebellion against an evil space empire. I remember reading these books in primary school, in the 90's, but don't remember a lot about them. As is often the case, I can recall only some details about the book, not the main plot itself. • The protagonist had a metal coated spine. • Pretty sure the name Legionnaires was involved. • The rebellion had a base inside a hollow meteorite. •It was a two book series, both in hard cover, they were also quite popular for years in the second hand bookstore & library market, but I haven't seen a copy for years. •They had quite distinctive cover art that covered both the front and back of the book. It was an almost 1980's sci fi comic book look to the cover art, with our hero fighting human soldiers in identical green military uniforms, but not modern military space uniforms, they had that Blake Seven evil empire look to them, but in green. Douglas Hill, Last Legionary series. 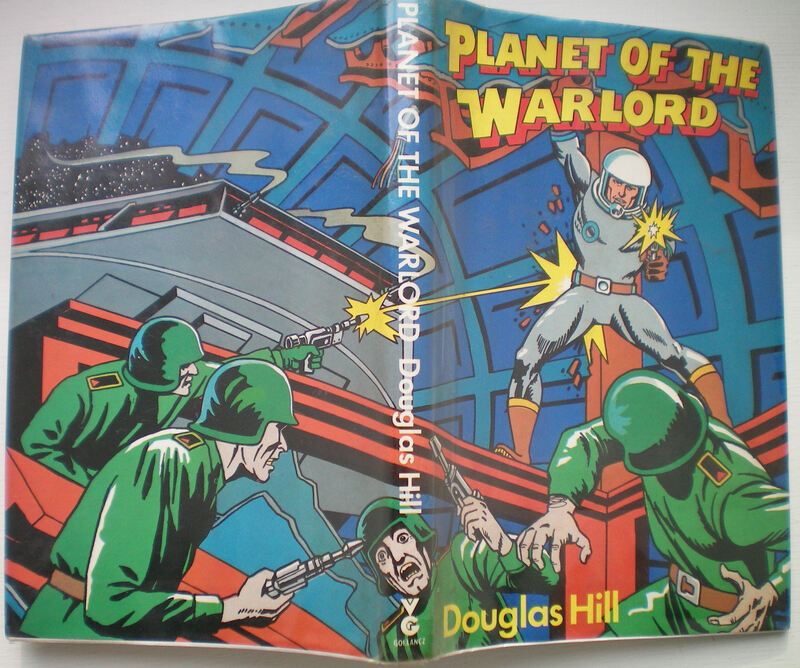 The cover I remembered was the one for Planet of the Warlord.